Summer is officially over and with winter now here we often find ourselves sneezing and coughing, but staying healthy during this time doesn't have to be difficult. 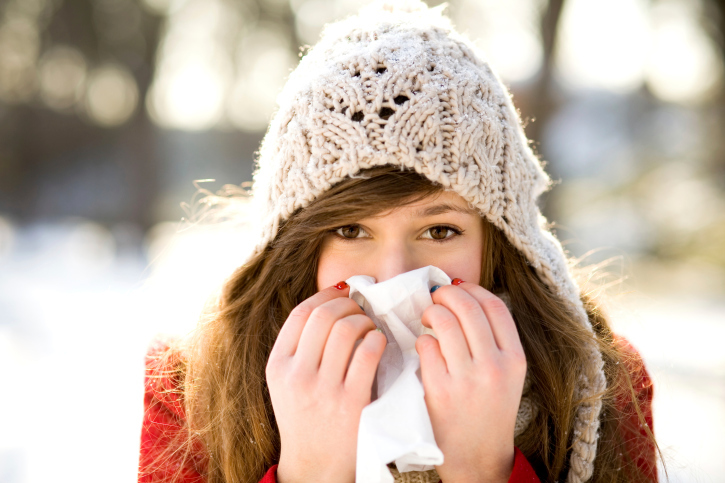 By implementing a cold and flu prevention regimen now you can help to boost your immune system significantly before winter really settles in. A significant number of Australians are deficient in vitamin D. Did you know that just 20 minutes of sunlight each day significantly boosts the production of vitamin D in your body? Vitamin D not only helps protect your body in maintaining healthy immune function, but it also assists in general wellbeing. Unfortunately, with the days getting shorter and the daylight hours diminishing, winter can be a difficult time to get the necessary sunshine, so supplements such as USANA's Vitamin D can be beneficial. Eating brightly coloured fruit and vegetables is also a great way to keep infections at bay. They are rich in vitamin C and E and antioxidants. Their ability to increase the functionality of your immune system means that adding these fresh fruits and vibrant veggies to your daily diet helps your body safe guard itself from nasty viruses, while tasting delicious too! You can also try USANA's Poly C.
You're probably aware that stress isn't good for you, but very few people are aware of how much it actually impacts your health. Stress takes an enormous toll on the immune system and makes you more vulnerable to everything from a common cold to major diseases. So if you don't already, make sure you get enough sleep and take time out to do the things you enjoy.